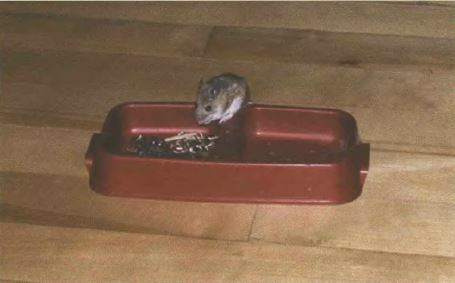 My first introduction to having your own personal house-mouse was some time in the ’70s when I was visiting Lama Zopa Rinpoche in his tiny room at Kopan. I was sitting at my guru’s feet, asking what I thought were terribly important questions, when suddenly Rinpoche turned his head. Something was moving next to him on the stacked up pillows on the bed where he basically sat, meditated, received people, read texts and … lived. I looked to see what had attracted him – he had such a sweet smile on his face – and lo! There was a tiny dish filled with rice and a tiny mouse munching away. Even though there were two of us so close, it showed no fear and just kept on happily chomping. It was clear that Rinpoche had been feeding his friend for a while; the little dish was carefully placed right where Rinpoche could observe, and where its mind could be blessed by hearing prayers, mantras and so on. I’m quite sure this is how I have the great good fortune to be one of Rinpoche’s disciples in this life – from having been a mouse or flea in his cave.